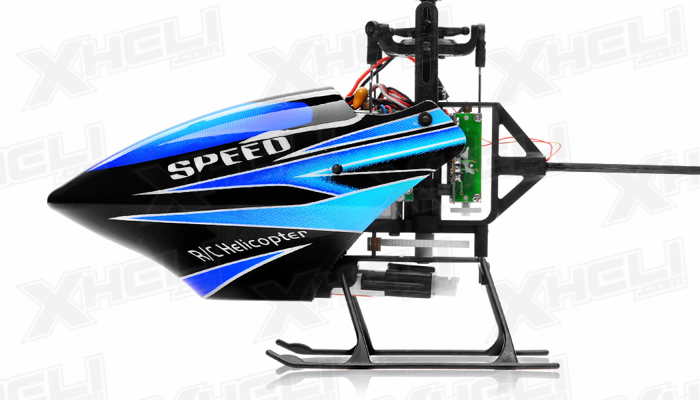 The V922 is a six channel collective pitch flybarless helicopter created by WL Toys. 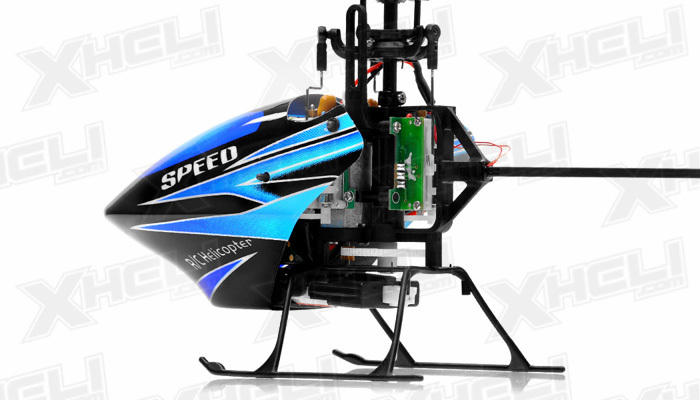 It is an awesome machine packed into a small ready to fly package. We are amazed by this little machine and its capabilities. 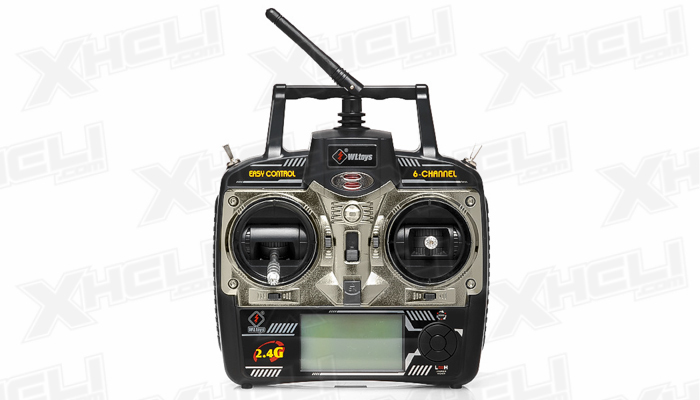 The V922 is equipped with a 3-Axis gyro that assists the pilot in flight stability. 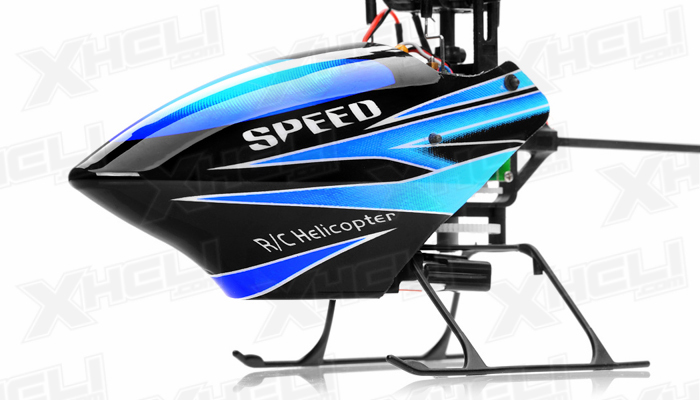 The flybarless rotor head is newly designed with main rotor blades that adds some weight to balance the helicopter. 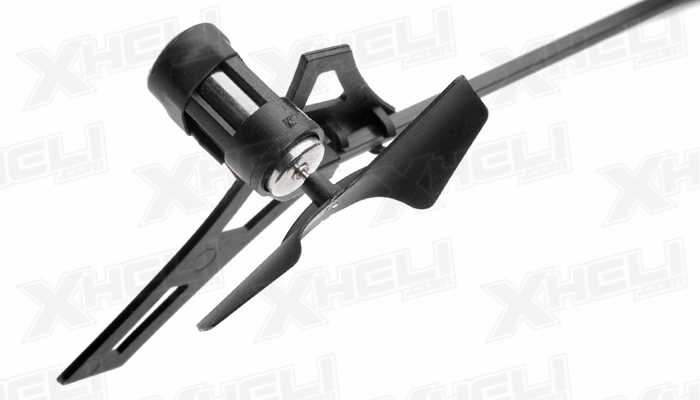 Additionally, the flybarless systems allows the CCPM rotor head to be simple and convenient in times of repair. 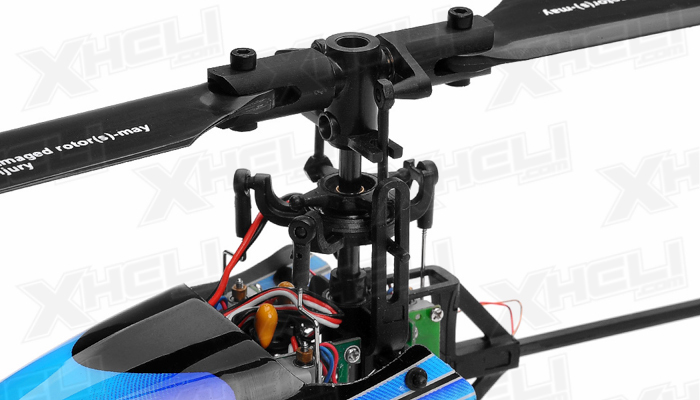 Typically it is complicated to set up a six channel flybarless helicopter with a 3 axis flight control board. 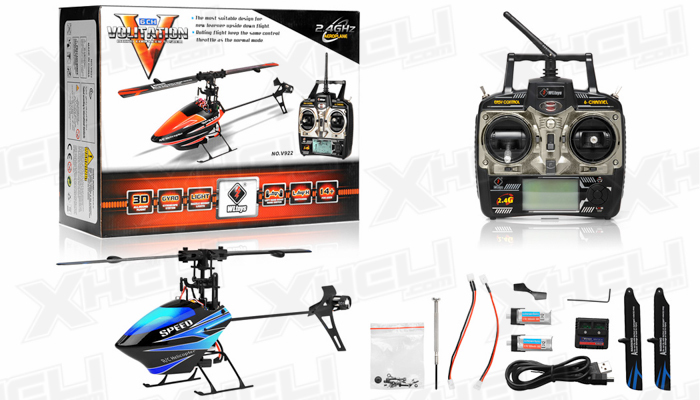 WL Toys has eliminated that complication in a ready to fly package for those who are transitioning to six channel collective pitch helicopters. Instead of messing with settings and other complicated parameters you can focus on your flight abilities right out of the box. The V922 has a unconventional way of allowing the pilots to fly inverted. There is a helpful function dubbed �Easy control�. You�ll find a switch on the top left hand corner of the transmitter. 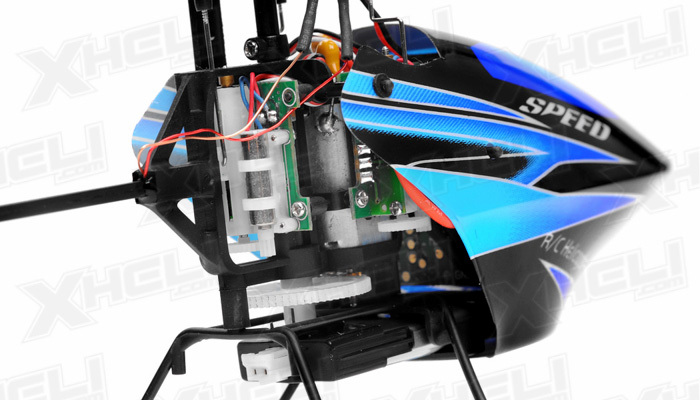 It helps you to keep the same direction control when flying inverted, so you won�t feel lost in orientation when performing inverted flight. Of course, some of you may feel that this is totally wrong and its pretty much cheating. If so, you can switch off easy control and fly inverted normally, or the hard way. 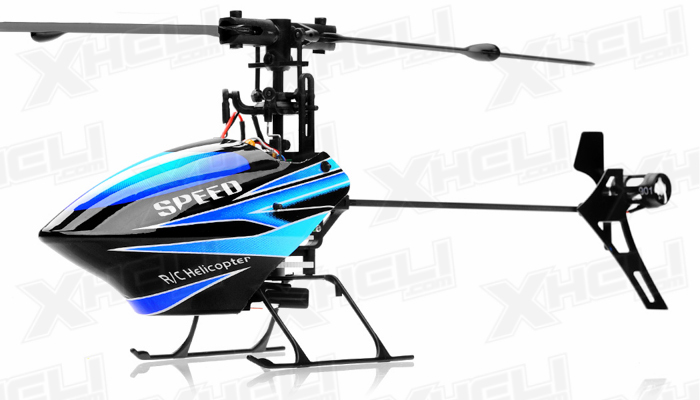 WL Toys made this helicopter suitable and fun for a variety of pilots and toned down the exponential learning curve required to pilot these 6 channel collective pitch flybarless choppers. 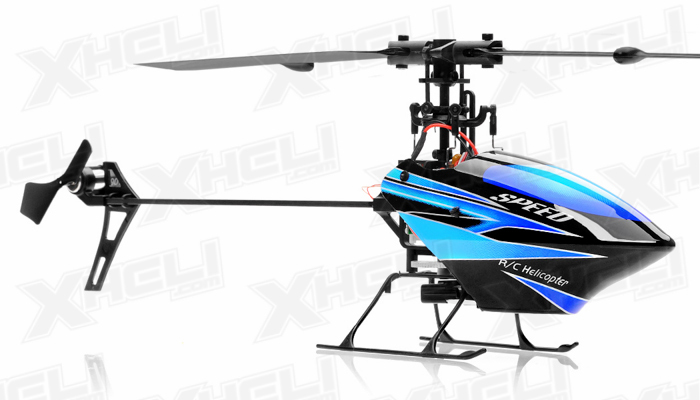 This V922 is the very best entry helicopter for new six channel pilots. 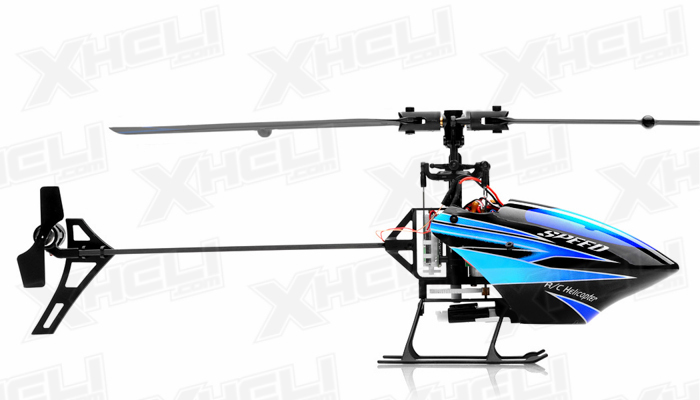 Besides, this palm size helicopter is very durable for multiple light collisions. 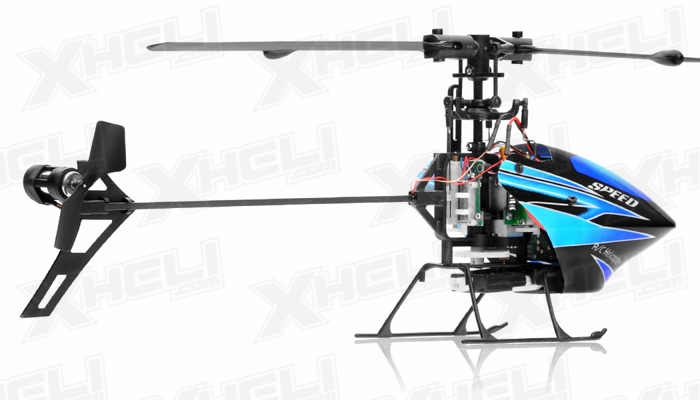 The V922 is great for pilots with experience and flight time with Co-Axial and Single Rotor Head helicopters. 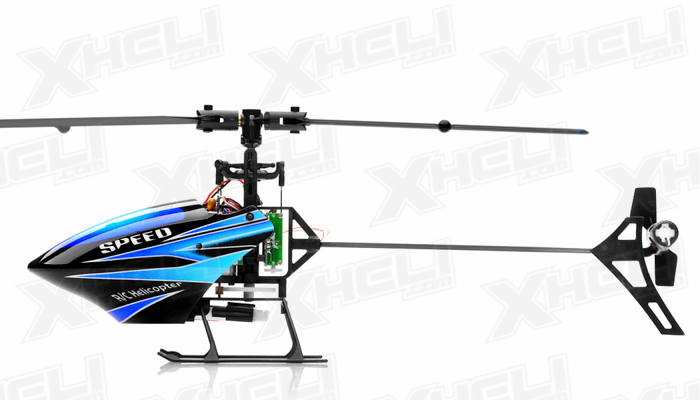 It is a very durable and stable six channel collective pitch helicopter.